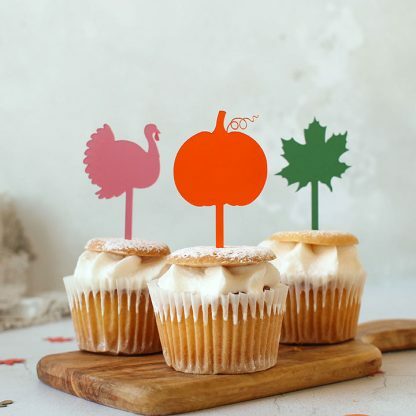 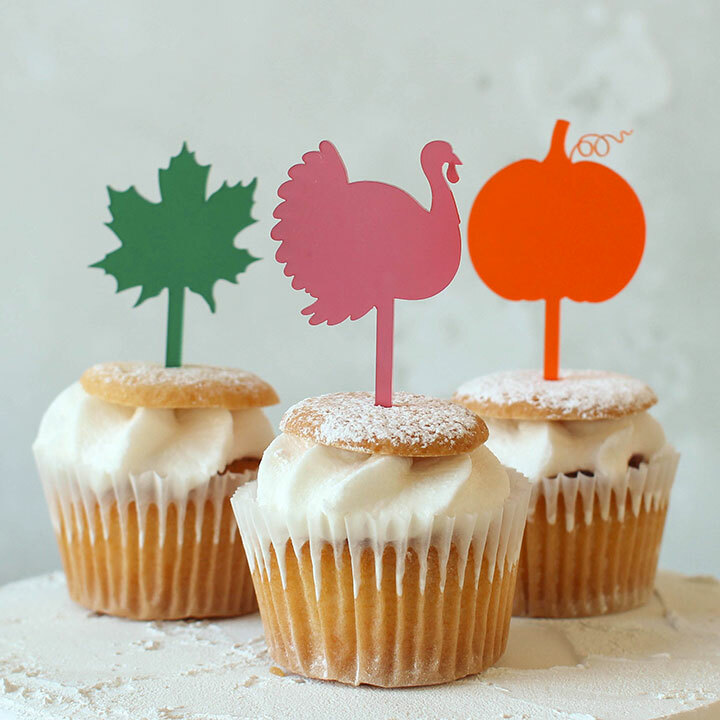 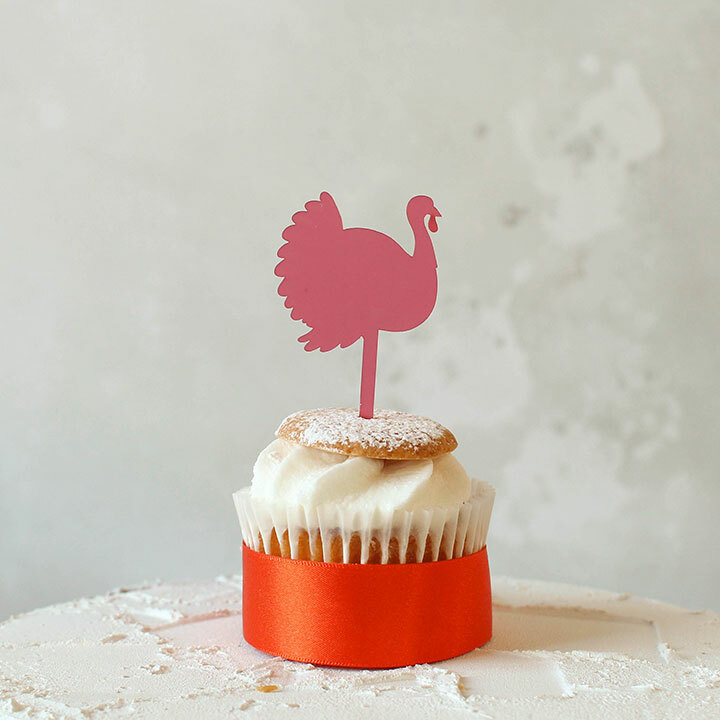 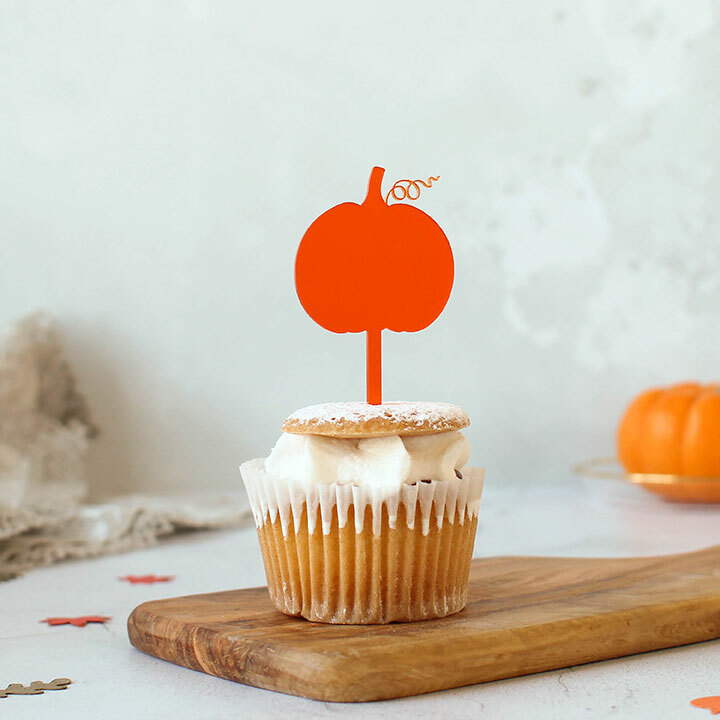 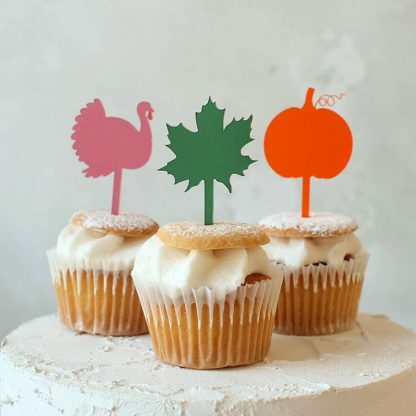 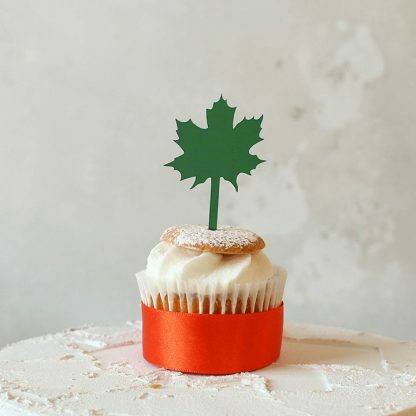 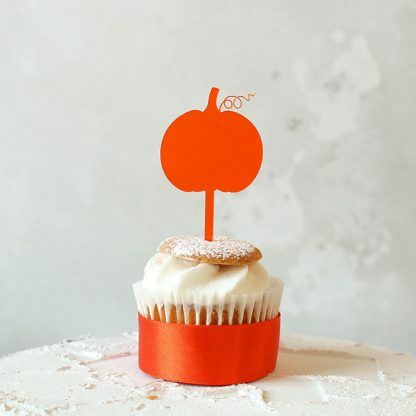 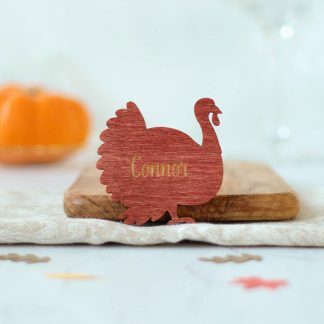 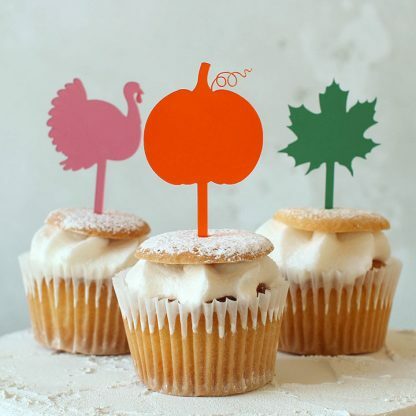 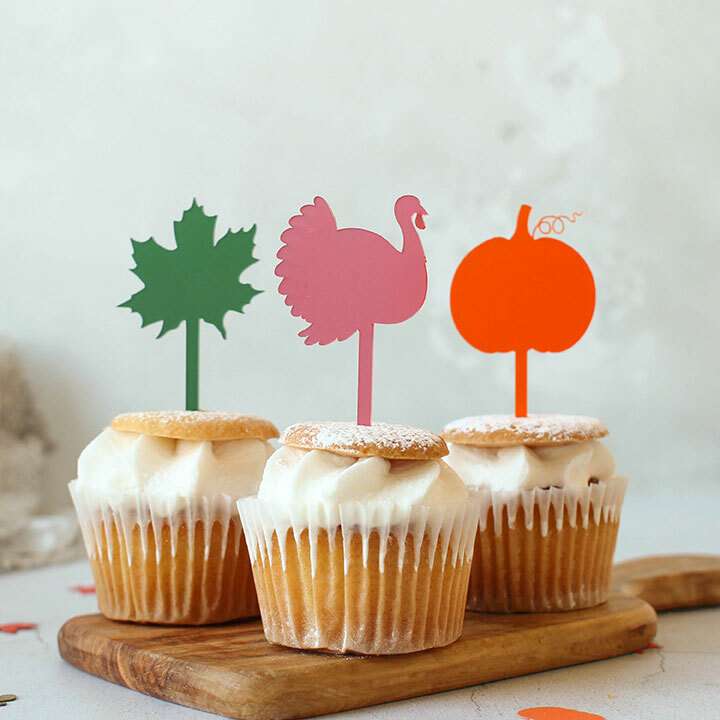 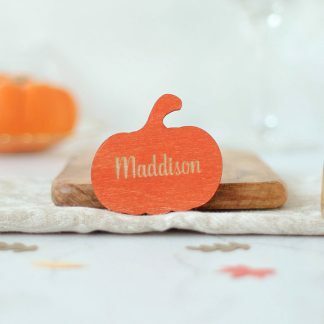 A cute little group of autumnal cupcake toppers. 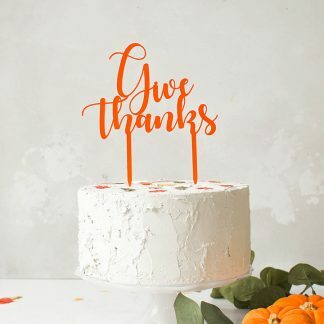 Use for individual cupcakes or group them together on a larger cake. 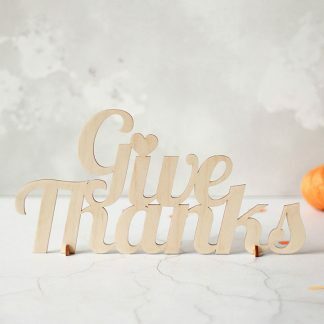 Also suitable for other foodstuffs such as meat and cheese. Choose one style or mix them up,the choice is yours.